Happy Wednesday everyone! I know I say this for basically every post but...I've got something exciting to share today! 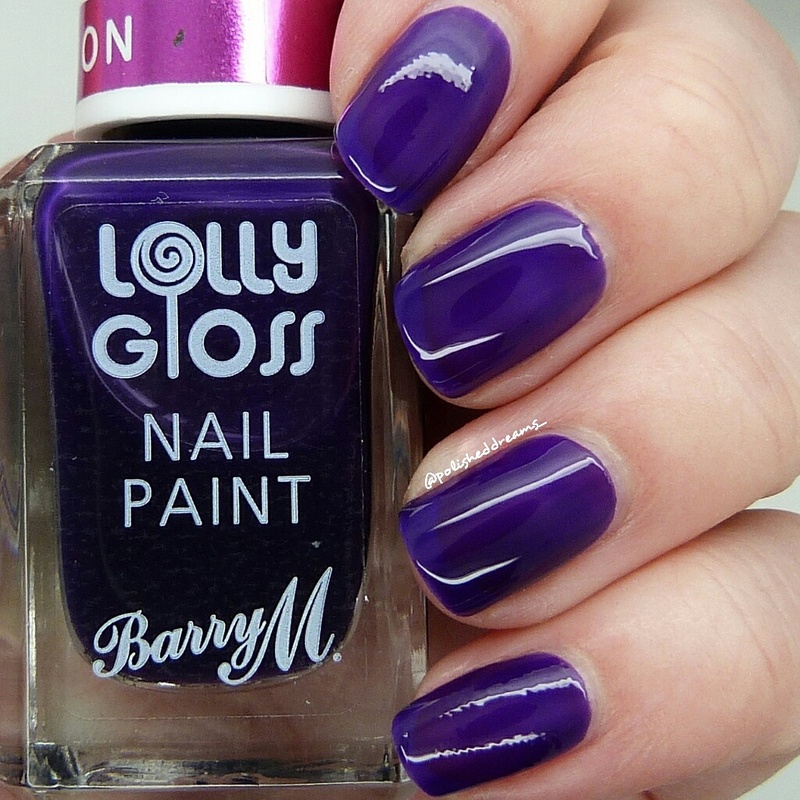 Yet another new collection has been released from Barry M (Yes another one!). This time it is a set of four limited edition polishes with a sheer jelly gloss finish and raspberry and strawberry scents! 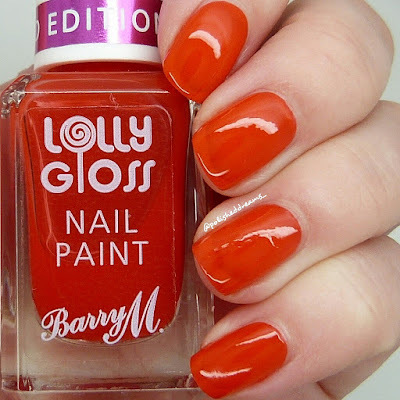 When I first saw the sneak peeks of these on Barry M's snapchat I wasn't convinced because they looked very dark and not at all summery. Turns out, I couldn't have been more wrong! Cherry Drop is a dark pinky/red which definitely suits the name. 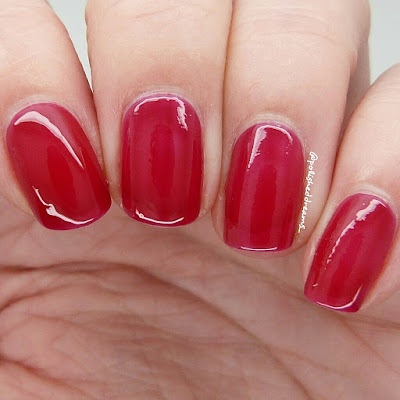 I used three coats for this swatch and no topcoat. You can definitely see it has a very jelly and glossy finish which I love. 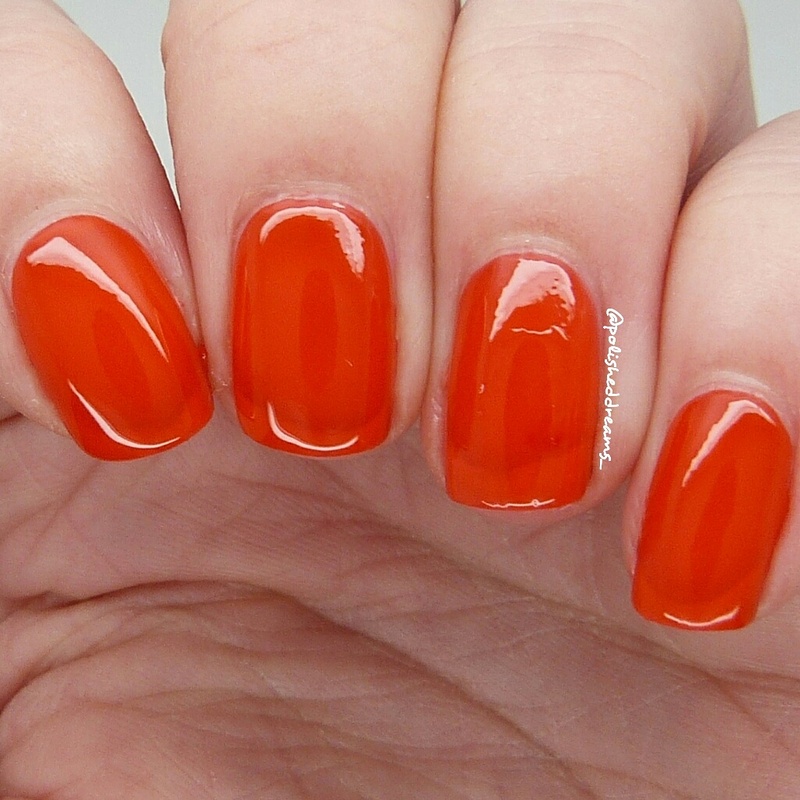 Orange Fizz is a bright orange. 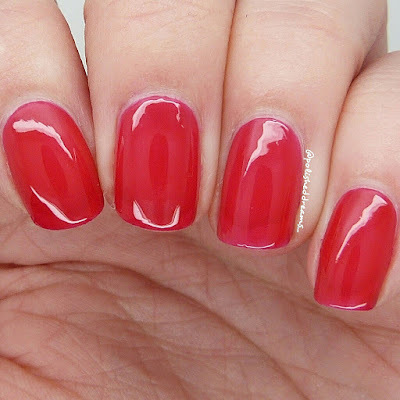 In my opinion this was the most sheer of the four and I again used three coats. Totally reminds me of the orange flavoured jelly you get! 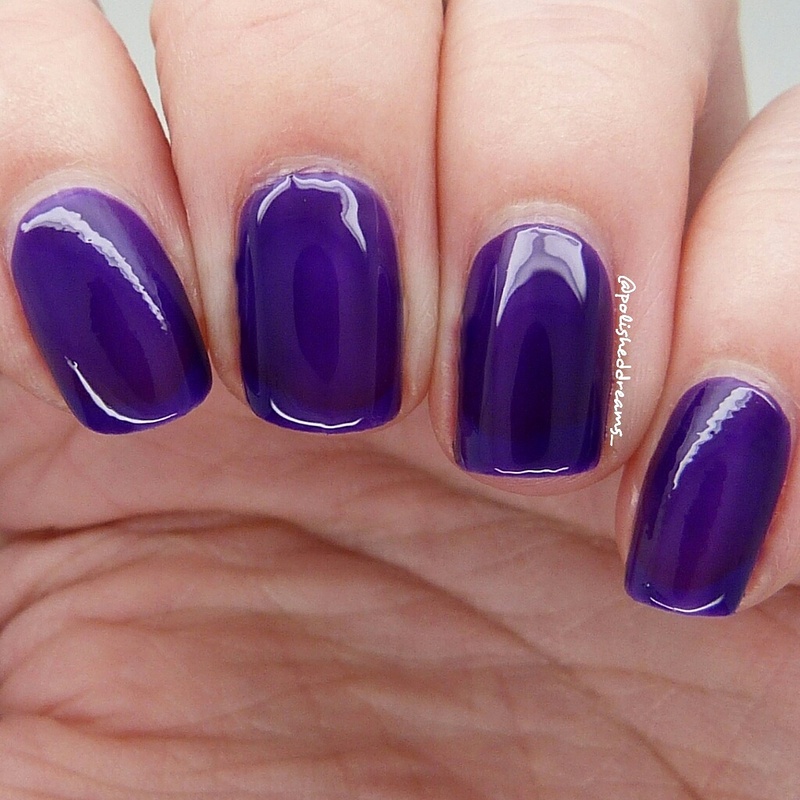 Purple Pop is a deep purple which surprise surprise, I love. This swatch was three coats. 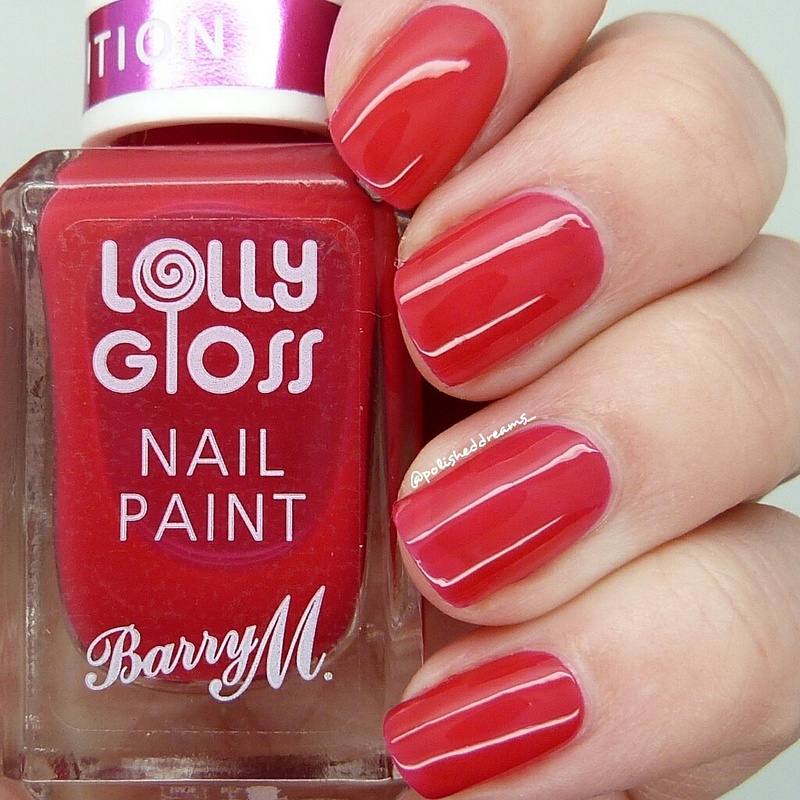 Last of the new Lolly Gloss polishes is Pink Candy, a bright coral-ly pink. Again, three coats and no topcoat. 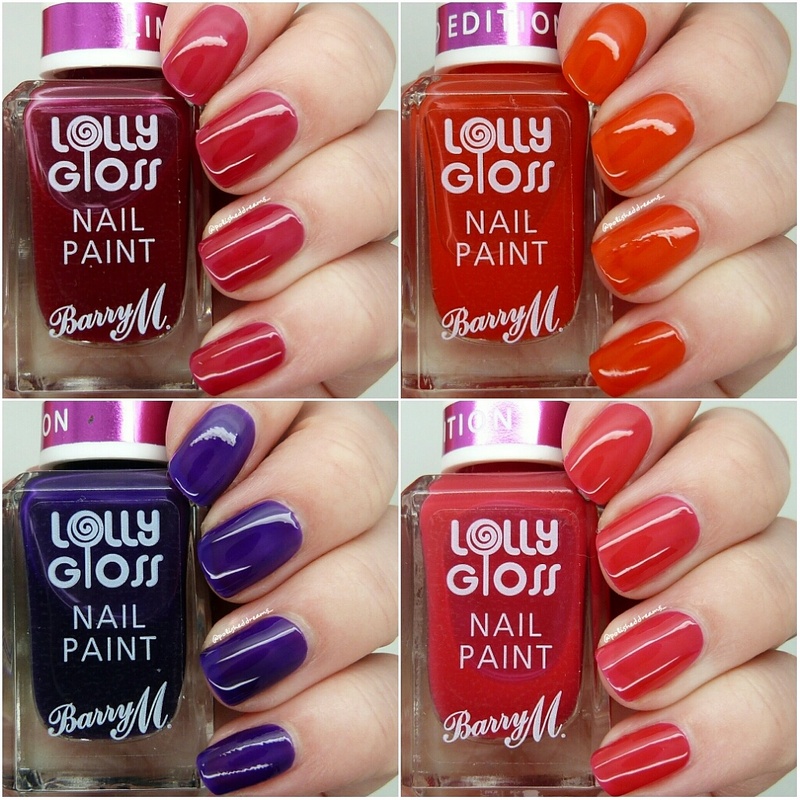 Overall I actually really like these polishes. I love the colours, the formula is great, they're so glossy and shiny and so unlike any polish I currently have because of the 'jelly' aspect to them. Just to give you an idea of how different the formula is, if you look at the bottle shots you can see how the polish shifts. You can wear these on their own like I've shown in the swatches, however, there is also a very exciting nail art prospect to them. Of course some of you may know that 'pond manicures' are a very popular nail art choice for jelly polishes. Some readers may remember my first (and last) stamping pond mani I did which you can take a look at here. Anyway, I'll definitely be trying a pond mani with at least one of these polishes in the coming days/weeks so keep an eye out for that! 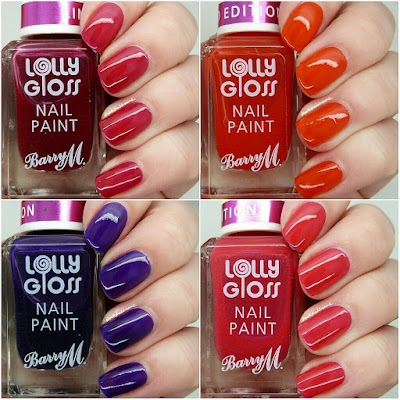 According to Barry M's Instagram, these polishes are being released in Superdrug today and Boots on the 11th May for a price of £3.99. However, I found them in my local Boots on Saturday and bought them from Superdrug on Monday so it's worth taking a look in a store near you! Ooh these look so good, I can't wait to get my hands on them. Hopefully they'll arrive soon. Loved your swatches and post, thanks for getting these up so quickly.